Where can you find real answers to life’s biggest questions? This September, 200 charities are coming together to launch Human – the world’s first charity-powered search engine. Charities selected the big questions most important to their supporters and beneficiaries, and recorded their responses as short videos. 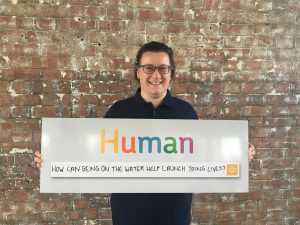 “This campaign has been designed to showcase just how vital charities are in responding to many of the world’s biggest problems and how legacies can help combat those issues. It will encourage the public to think about their deepest concerns for the world we live in and to consider leaving a gift in their Will. Remember A Charity Week, now in its ninth year, brings together charities, government and stakeholders to highlight the importance of legacy giving. The campaign showcases the impact of legacy donations and calls on the public to pass on something wonderful in their Will.